One of the most important things that you as a consumer and a local of Bossier can do to support the city is shopping local. Bossier brings many opportunities to the table, but one of the biggest things it brings is the chance to succeed. Bossier was ranked in the top 100 places to start a small business. Check out these small businesses in Bossier that continue to thrive in their convenient locations and with great support from the community. 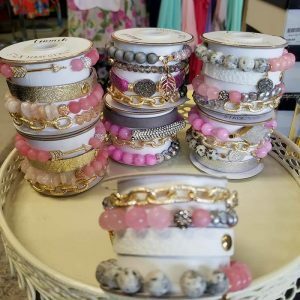 Jessica Williamson, the owner of Jaded the Boutique, is constantly making her customers’ experiences at her boutique a special one, including selling locally made items. “We strive to be a unique shopping experience where you will not only receive excellent customer service, cute clothes at incredible prices, but also an experience where you feel you have a friend to talk to and a place to de-stress,” said Williamson. Williamson chose to open her business in Bossier because of the strong roots it holds for her. Something that locals can do to support small businesses is continuing to shop local, spread the word and enjoy the personal touch of a small business that you won’t get anywhere else. Colt Friday, the owner of Friday Claim Services, Inc., is a Public Insurance Adjuster that works hard to protect local people and businesses from unfair insurance claims, and he does it from his conveniently located office off Old Minden Road. Like Williamson, Friday feels that the local people of Bossier should continue to support small businesses because of how much it gives back. “The biggest thing locals can do to help small businesses is utilize them. Shopping local, eating local, and utilizing local services is a huge way to keep money in our local economy which helps us immensely,” said Friday. These two business owners along with so many others work so hard to bring Bossier convenient places and unique experiences that you will always remember. Keep Bossier and its local businesses thriving by continuing to invest in places like these right in your own backyard! Previous Post:Have You Been to These Smoothie Places in Bossier? Next Post:How Healthy is Bossier Parish?